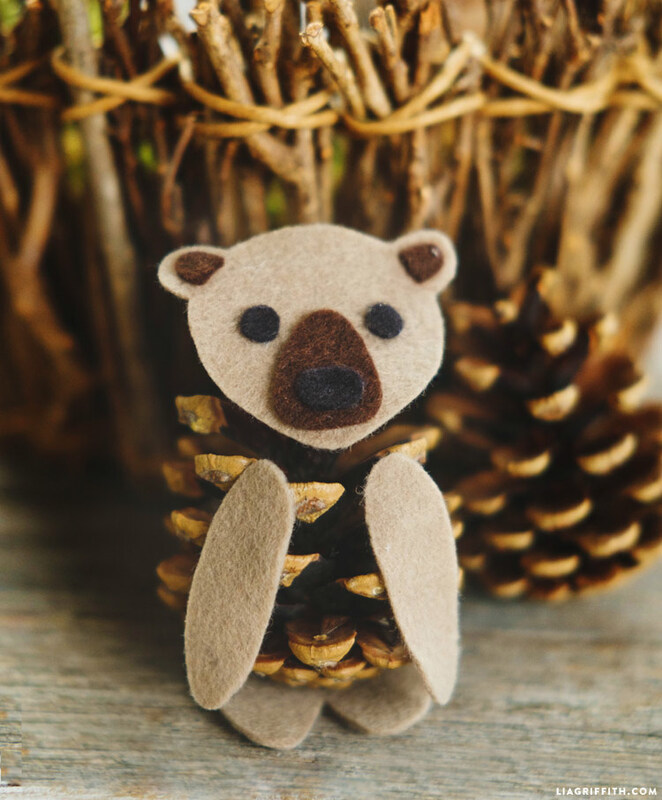 If you’ve been a long-time follower of our crafts, you know that we love making felt and pinecone animals. They are the perfect kid’s craft! They only require a couple of materials, and the result is an adorable little character that kids can bring out for play time. It’s a great activity for kids to practice cutting with scissors, plus it’s a quick project for short attention spans. Thank you to our friends at Good Housekeeping for letting us craft these with you! 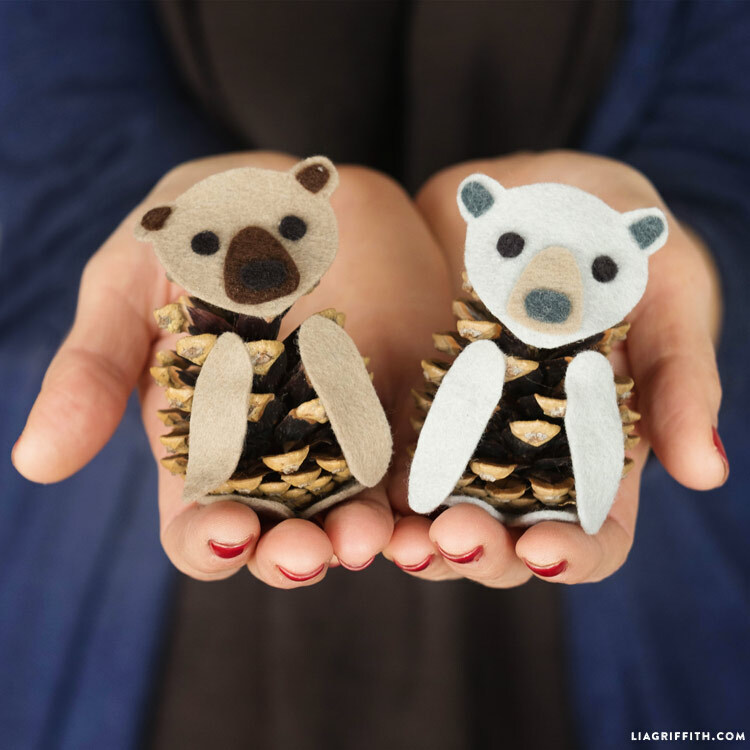 You can watch our video collaboration for these felt pinecone bears below. Print the PDF template at the bottom of the post and cut your felt pieces according to the pattern. Assemble the bear face and glue the pieces as shown. 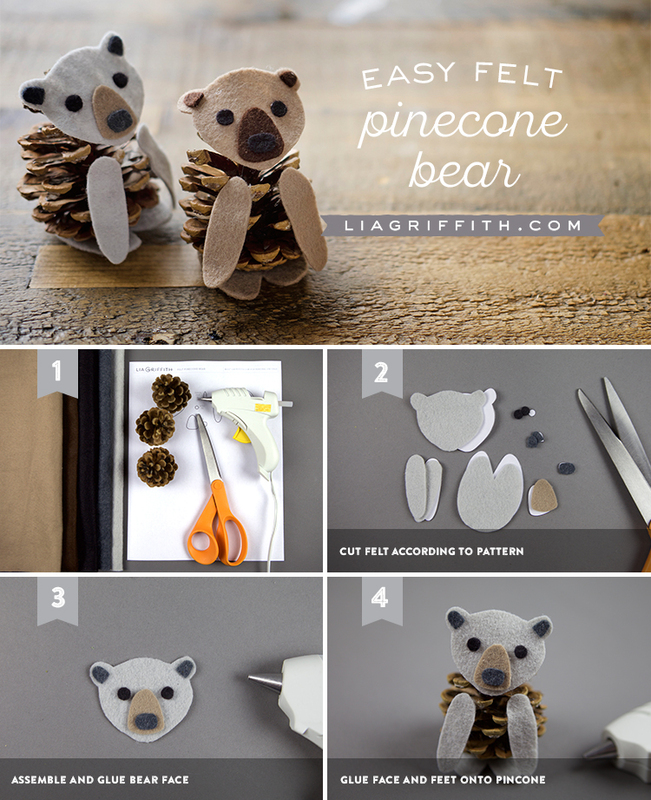 Glue head and feet onto pinecone. 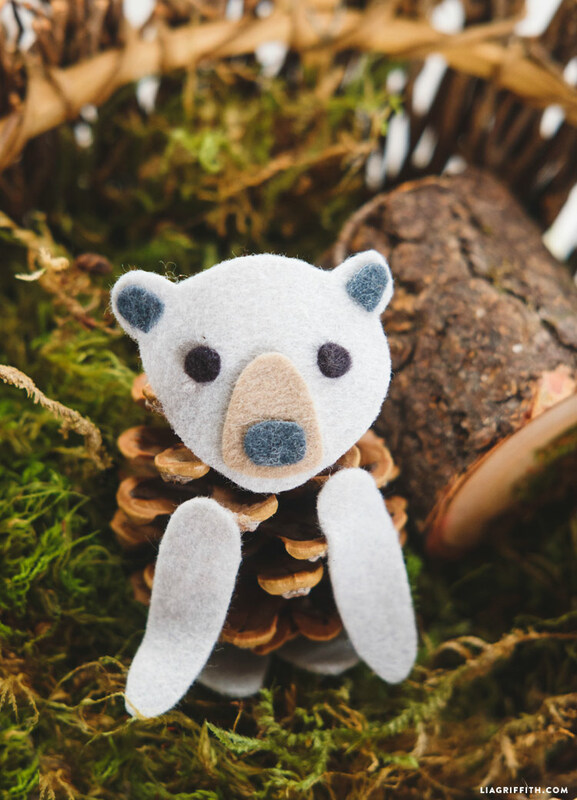 You should be able to find felt at any local craft or fabric store, and some of our favorite online sources are Benzie Design, A Child’s Dream Come True and Felt on the Fly. This project could be a good opportunity to start introducing a hot glue gun to your young crafters, or you can use tacky glue for a safer option. 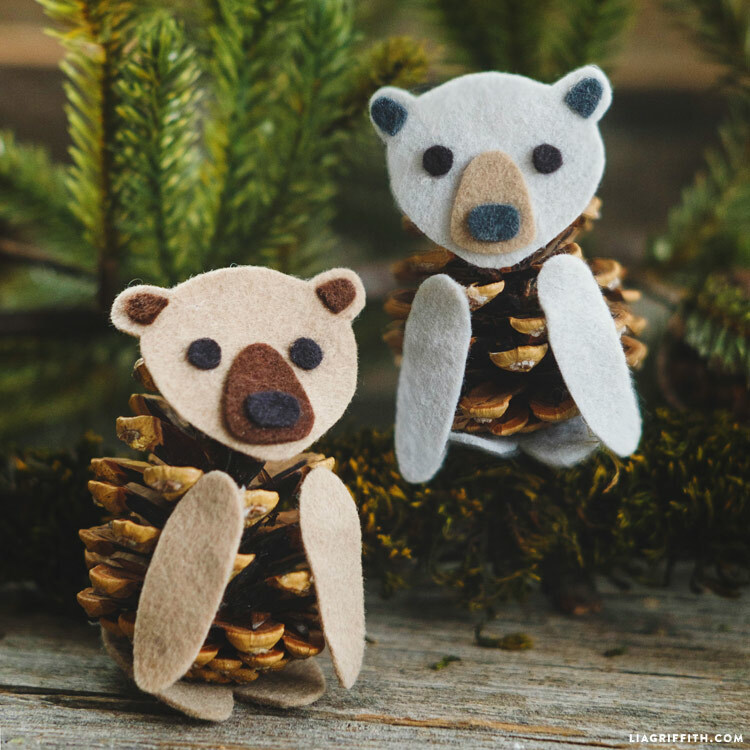 Once you are finished, you can make some raccoons or foxes to go with your felt pinecone bears! 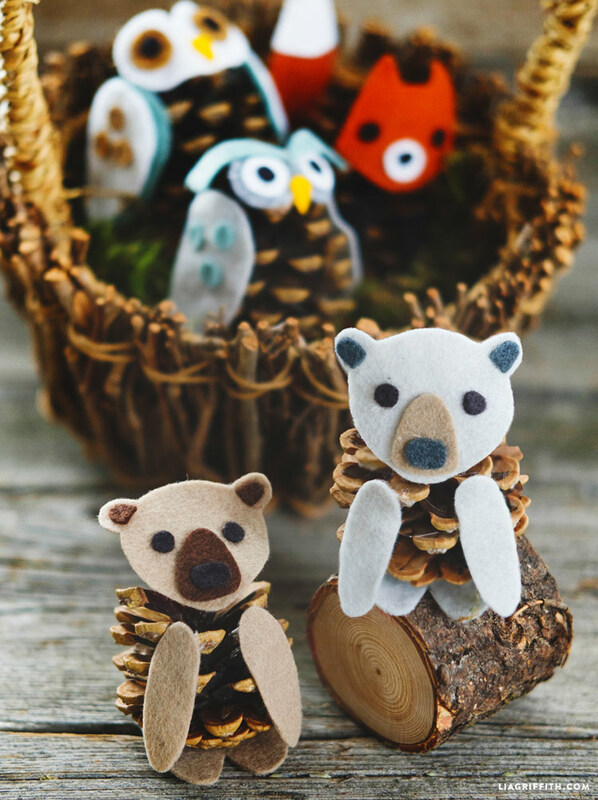 Browse through all of our felt and pinecone animals for more fun kid’s crafts.